15 minutes play...BumbleBeans Inc.: awwww! 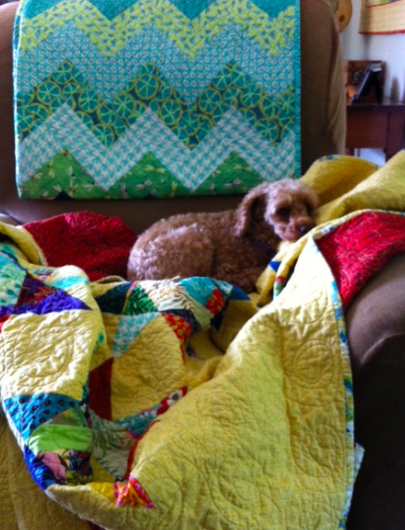 Diane took my class at Mill House Quilts, and has already whipped her blocks into a sweet happy quilt! Beautiful - and cute doggie!! 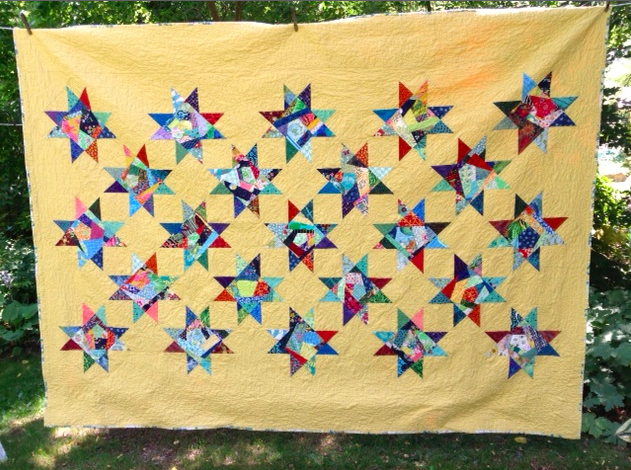 a very happy quilt! Nice job!